There are many aspects to healthy living. In order to keep a healthy heart, preparation of a meal in a safe and sanitary manner is just as important as the finished product. Always remember to follow the guidelines in our “Food Safety Tips” section to keep a clean and healthy workstation. One of the most important aspects of our daily diet is the incorporation of Carbohydrates. Carbohydrates are similar to humans as gas is to automobiles. Carbohydrates are what fuels our body and gives us energy for all of life’s activities. 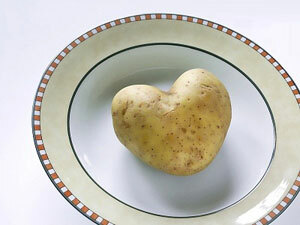 Learn more about how the body benefits from carbohydrates through the intake of potatoes in our “Food as Fuel” section. Are you tired of people telling you, “If it’s healthy it doesn’t taste good?” Be sure to take a look at our Healthy Recipe of the month to prove them wrong!